After a long day travelling from Rome north to Tuscany we arrived at Il Diaccino, our place in Chianti for the next week. 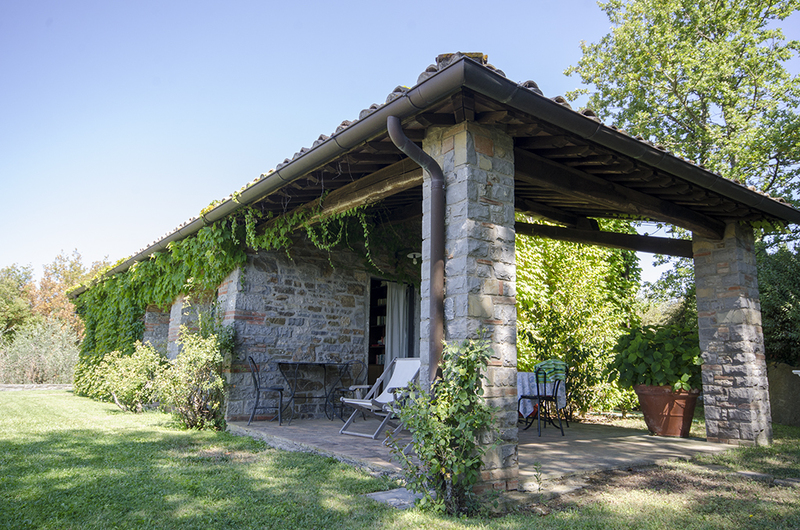 The villa is beautiful, set among olive trees and vineyards and overlooking the valley. 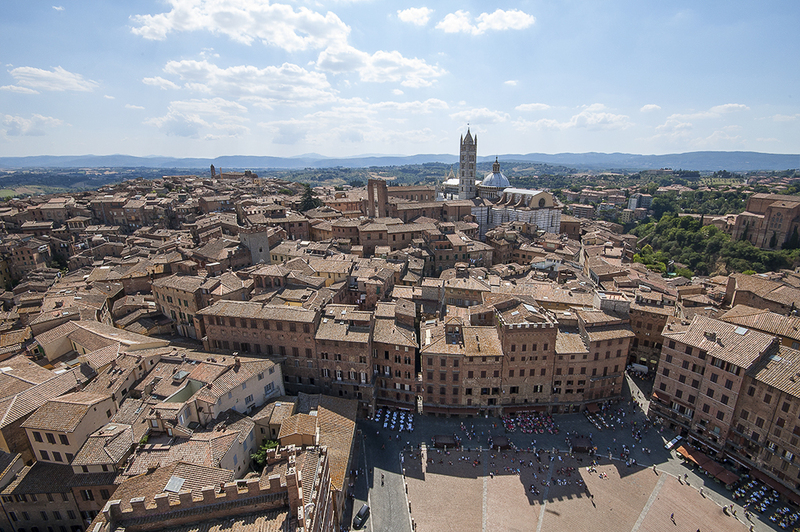 The towers of Siena can be seen on the horizon – just a reminder of where we are. The terrace is an ideal place to sit and watch the changing view – from the blue haze of morning to the pink sunset of the evening. It is kept cool in the unseasonably warm weather we have experienced by the breeze coming up the valley. The villa is so comfortable – like moving into someone’s home – and it’s a chance to unpack and settle for a week. Within 24 hours we had managed to catch too much sun by the pool so we will be sitting in the shade for the next day or so. 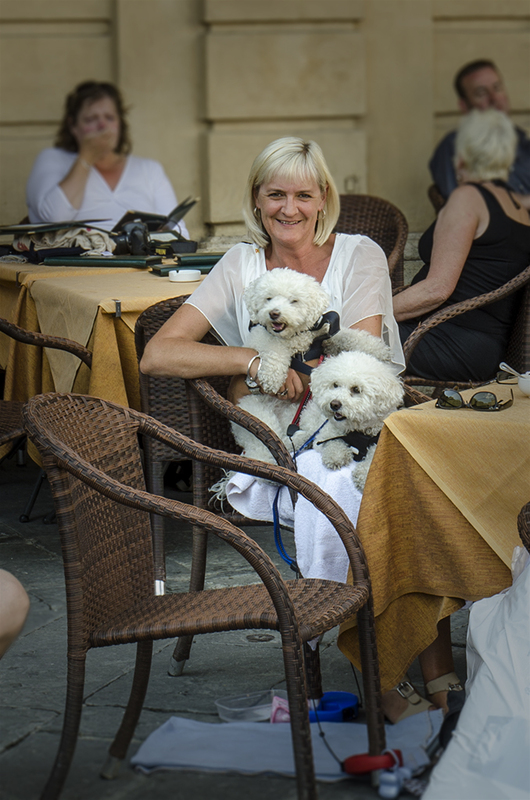 As our thoughts turn to Italy, a look through the photo album reminds us of time spent around Siena. 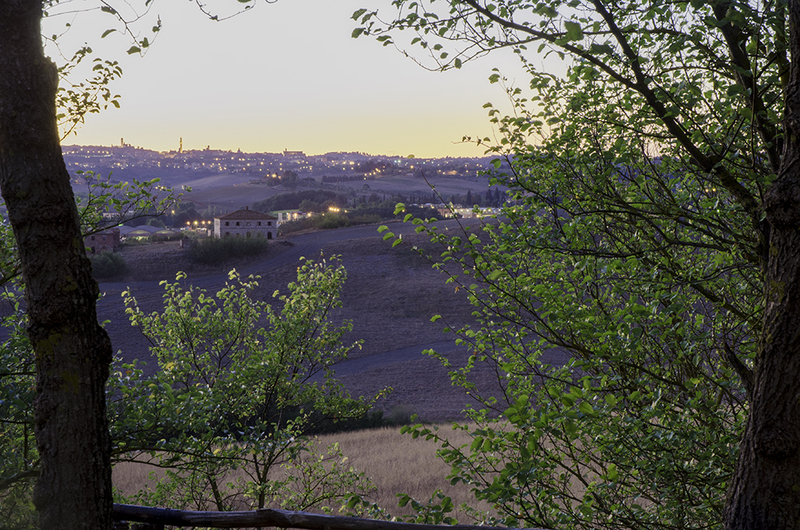 This photo is taken from the front terrace of the cottage we called home for 6 months at Casavacanza Vesta and is looking towards Siena on a warm October evening. When we arrived the view was almost completely obscured by trees but while we were away one weekend the kind owners thinned the trees – providing us with this fantastic sunset show each evening. I’m not sure if there is a best way to see Siena. Walking the narrow streets it looks great. Standing in the the middle of the Campo it looks great. But from the top of the Torre del Mangia it looks breathtaking – quite literally breathtaking – because of the 400 steps (exactly 400 steps) that need to be climbed to reach the top. Here are some shots taken once I had caught my breath.